I hope you all had a great weekend and are enjoying the long weekend. We have had some absolutely gorgeous weather here in New York this weekend! Perfect weather in my opinion! Today I am going to be sharing with you my June Favorites. I can't believe we are already in July! 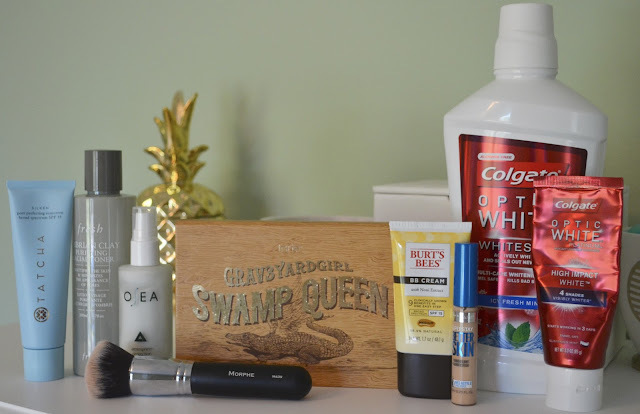 I feel like I just shared my May favorites with you! 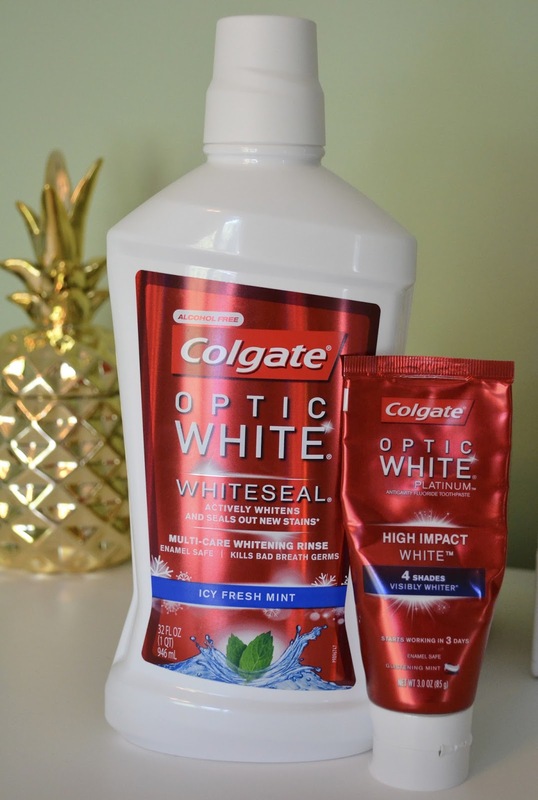 Colgate Optic White Toothpaste & Mouthwash: Part of my beauty routine includes taking care of my teeth. With all of the coffee and tea that I drink, I am always looking for ways to keep my smile looking bright. I had seen a few advertisements about this toothpaste and decided to give it a shot. I don't know about you, but I don't really like using those whitening strips. They are a little time consuming and my gums always seem to bother me after using them. This whitening system is the perfect solution! If you are looking for a way to brighten your smile without the hassle, I would highly recommend this toothpaste and mouthwash! 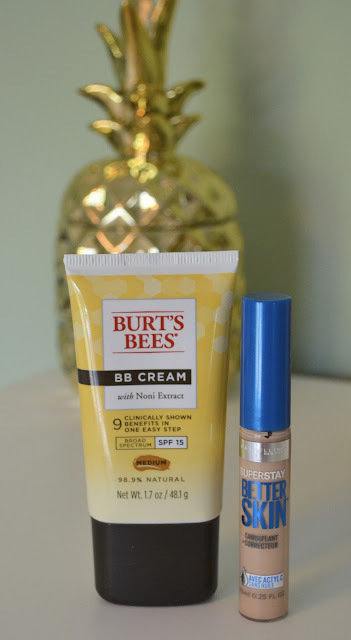 Burt's Bees BB Cream & Maybelline Superstay Better Skin Concealer: This dynamic duo right here has been keeping my complexion flawless this past month! As I mentioned in my FabFitFun review, I received two samples of the Burt's Bees BB Cream and immediately fell in love with it! It's super lightweight but provides a beautiful coverage. I love using BB Creams during the Summer, not too heavy and provide the SPF coverage I need. I had run out of my Urban Decay concealer and wanted to try something a little less expensive so I picked up this Maybelline concealer. I love it! It doesn't crease, it's super light but provides the coverage I want in a concealer. At half the price of the UD one, it's a great alternative! 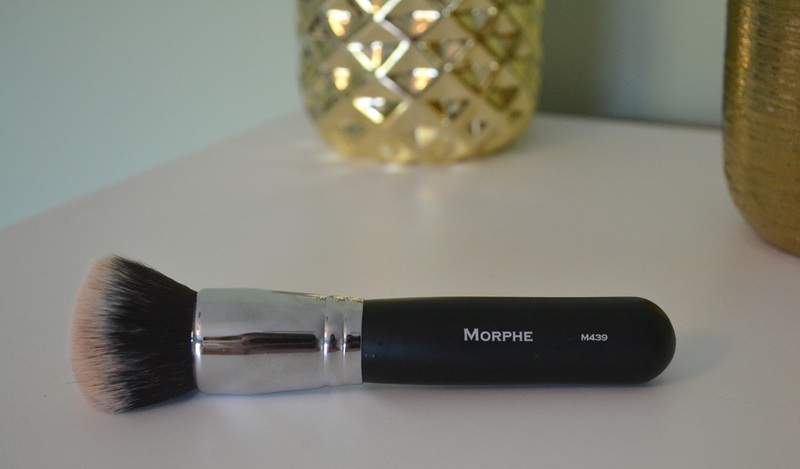 Morphe M439 Brush: Another great suggestion from Jaclyn Hill! I have been addicted to using my Beauty Blender for months now but after watching one of Jaclyn's latest videos, I decided to give this brush a try. I can officially say this brush has replaced my Beauty Blender! I love the coverage that it gives me and love the look of the application. Plus this brush is super inexpensive! 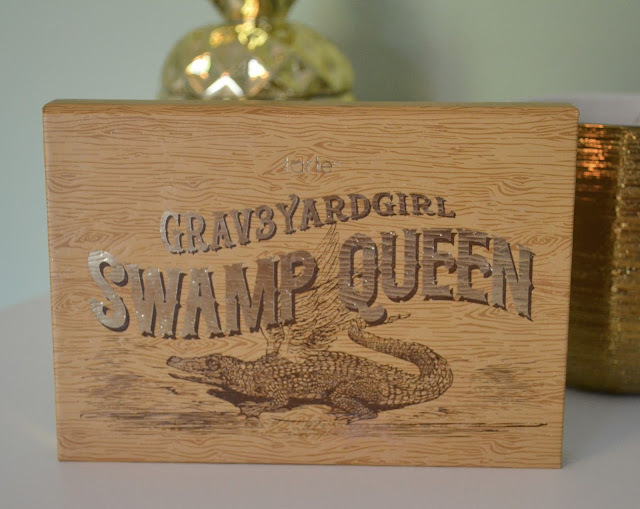 Tarte Grav3yardgirl Swamp Queen Palette: I truly love this palette! It smells like vanilla and the colors are to die for! If I could cover my body in the highlighter "Gator Wings" I would! According to Sephora's website, the palette will be available in stores on July 8th. So keep and eye out and if you can get your hands on this palette I would highly suggest it! Fresh Umbrian Clay Purifying Facial Toner: I included this in my updated skincare routine and it has become a staple in my skincare lineup. This toner perfectly balances my skin and leaves it feeling refreshed and purified. It smells good too! Tatcha Pore Perfecting Sunscreen (SPF 35): I think this is the third time I mentioned this product on my page within the past month! I am obsessed with it. I am so excited to apply my sunscreen in the morning. It smells good, it feel incredible and literally blurs my face! It's three products in one so I justify the price my that haha! It's a sunscreen, pore perfecter and makeup primer all in one. This product has also become a skincare staple in my routine. OSEA Atmosphere Protection Cream: Another win from my FabFitFun box! Because of this product I want to try EVERYTHING from this skincare line! It's "Mer-made" here in the USA and the products are made from the goodness of the sea, this line is vegan and natural but super effective! I use this moisturizer at night and when I wake up my skin is super hydrated and looks better and better each day! I hope you all enjoyed today's post! Enjoy the rest of your day off and have a great week!